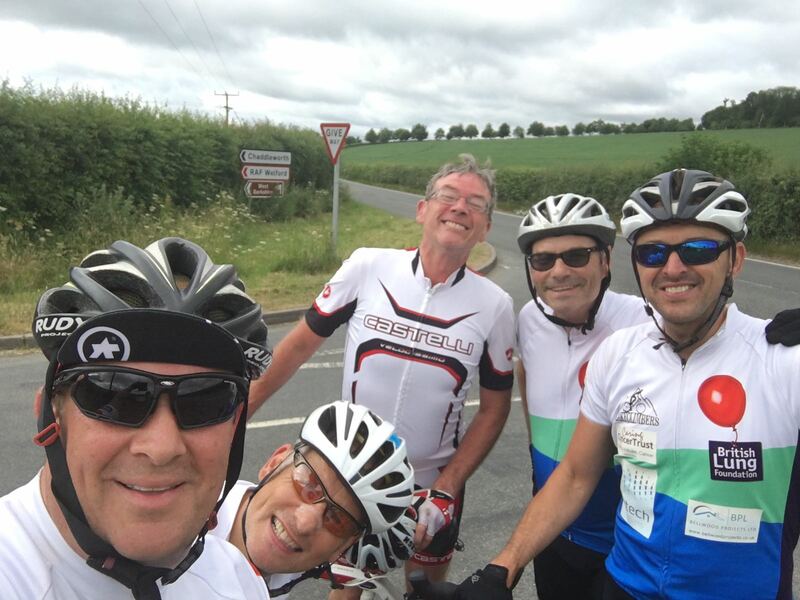 As scheduled by the Peaky Climbers Training Officer, Mr Mark Crick, the plan today was for a team ride of 100 miles across undulating countryside with a few steep hills in for good measure. An early 7am meet for the team at The Fox in Denchworth, with only 1 team member missing due to work – Simon Haly. However, it was great news to see a famous guest rider join the Peaky Climbers for the day, Ned Flanders. Heading out towards Charney, Longworth and through Cumnor the route took the Peaky Climbers through the centre of Oxford for an early, beautiful sunny Saturday winters morning ride through the city centre. After a short climb up Whittenhum Clumps the lads then headed into Wallingford for quick coffee and energy cookie stop after 35 miles or so in the excellent Rides on Air bike shop. The next 30 or so miles, ahead of the ‘lunch’ stop were to be the toughest. Heading to Goring from Wallingford the objective was to attack the daunting Streatly Hill. Due to a lorry crashing there earlier in the week, the entrance to the road was closed but even that doesn’t stop the Peaky Climbers taking the challenge on. Nobby, Cricky and Allen fairly well flew up this hill…incredibly impressive. So much so that apparently Nobby “still had plenty in the locker” when he arrived at the top…much to Mark ‘Ned Flanders’ Crick amusement. Ben rode up strongly, followed by Macca the JB. Huge praise and pats on the back go to Stuart Eadie who completed the climb non-stop, which just goes to show how much he has improved in both fitness and mentality in the past 3 weeks. Exceptional effort! Clearly due to the age of some of the Peaky Climbers the odd wee stop en route was required, together with numerous ‘pit stops’ due to a pedal issue on Ned Flanders’ bike – this needs fiddly diddly sort-a-rooneing out as soon as possible…certainly ahead of the next Wales ride in 2 weeks time. The climbs up and down each Ilsley and up to Farnborough then a quick spike at Woolley Up! Then down into Shefford for a well-deserved lunch. Out from Shefford after lunch, the legs took a little warming up that’s for sure and the saddle’s felt a little more like razor blades the boys cycled into Lambourn then out via the long drag up to Ashbury Hill. Stewie and JB kept pushing hard and continued their excellent performance throughout the day. Stewie popped his puncture cherrie, but Allen’s pit stop expertise meant we were back up and cycling in no time! The big 4, Allen, Nobby, Ben & Cricky, rode super strong all day and certainly had plenty in the tank for the last 30 miles. Turning right at Ashbury towards the White Horse, the route took us down to Woolstone and then a speedy run all the way back to The Fox. We only stopped a few extra times for Cricky’s dodgy pedal but otherwise the Peaky Climbers cracked on apace. An excellent team ride and great to get nearly all the boys out together. The next one is in Wales in 2 weeks which will challenge the boys even more. Without doubt the rider of the day was Stuart Eadie, who has come on leaps and bounds in the last 2-3 weeks…brilliant. Also, special mention to Mark ‘Ned Flanders’ Crick for a fantastic route and for completing the ride even though he had a dodgy pedal after 20 miles! Well done boys…bring on Wales! 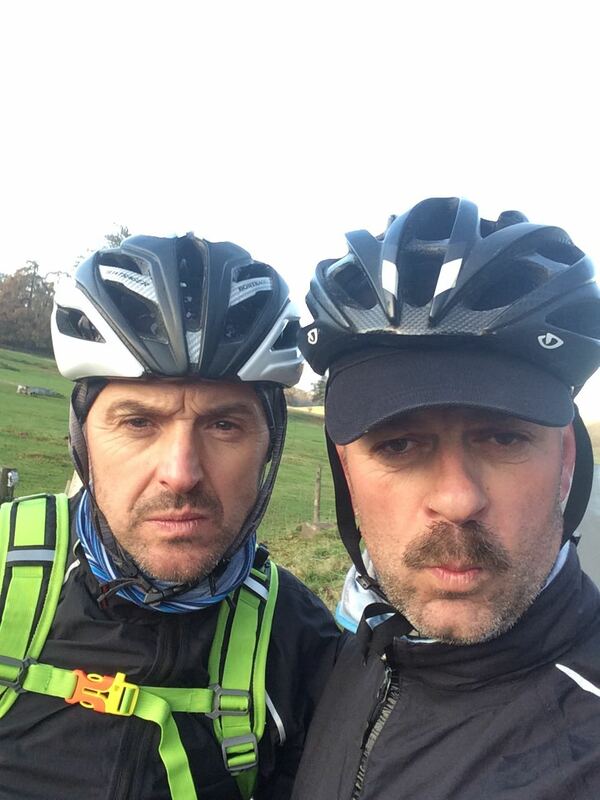 2 weeks time Wales Ride N0.2…5,000+ feet of climbing!! !